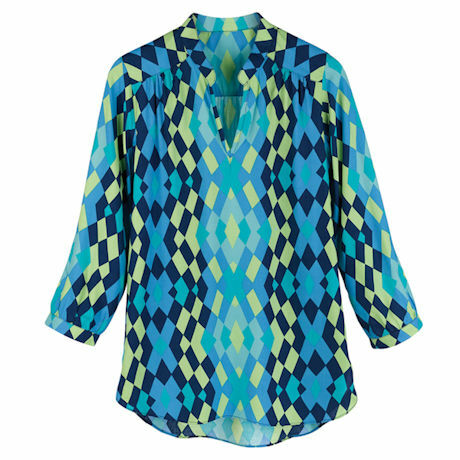 Brighten your outlook, any day with lively, intense colors and a geometric pattern. An easy layer under a navy blazer or denim jacket; hi-low hemline, so it's great over leggings. ¾-length sleeves and banded V-neckline. Hand wash. 100% woven rayon. Imported. S(6-8), M(10-12), L(14-16), XL(18); 31"L.